Breeder: Sue Ferguson. Owner: Ellenna Caudwell. The New Zealand Arab Horse Breeders Society Inc. is proud to announce the winner of their 2016 WAHO Trophy. Windvale Faraz is a 13 year old gelding, standing at just 147cm but with great athletic ability and courage. Known at home as “Noah”, he was bred by the late Sue Ferguson of Kaikohe and has been owned by Ellenna Caudwell since January 2012. Since then the pair have gone from strength to strength in a variety of disciplines. Over the last four years he has competed successfully at many different events, including in open competition against other breeds. As can be seen from the following achievements, he has been a great ambassador for the Arabian Breed, winning the NZAHBS Young Achiever award with his owner/rider in 2014 and 2015. 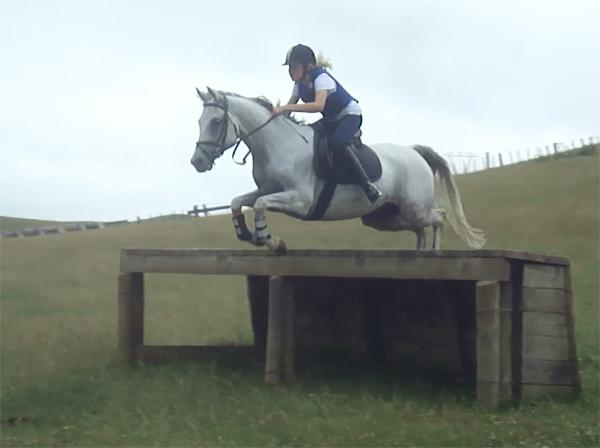 Pony Club: Noah has attended Pony Club with Ellenna attending many rallies, camps and training squads. They represented Franklin District Pony Club at the North Island Showjumping Championships in 2013 gaining an individual 5th place. Later in 2013 they represented Franklin Thames Valley Pony Club at the Horse of the Year Teams Showjumping and then at the New Zealand Pony Club Eventing Championships held in the Hawkes Bay. Ellenna also passed her Pony Club C+ certificate riding Noah. 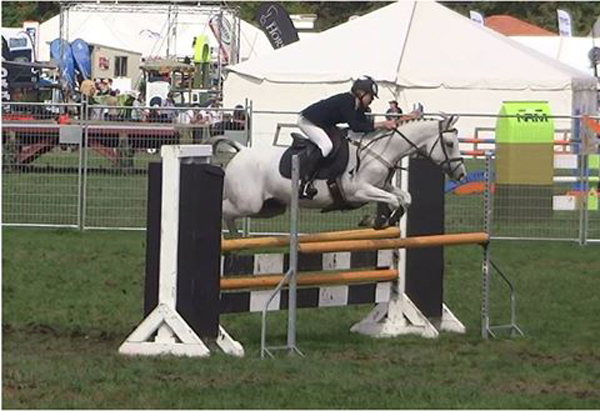 In 2014 they were again selected for the New Zealand Pony Club Eventing Championships, this time the team won the overall title and Noah and Ellenna finished 8th overall in the 95cm section. They have gained wins and placings at many Franklin District events from Ribbon Days to Dressage and Showjumping. In January 2016 Ellenna gained her full New Zealand Pony Club B Certificate riding Noah. Dressage: Noah qualified and competed at Horse of the Year 2014, gaining a 5th place in a level 1 Dressage class, 30 minutes after the dressage placing Noah gained a 3rd place in a 1.10m Showjumping class. Noah and Ellenna were also selected for and attended an Equestrian Sport New Zealand (ESNZ) Pony and Young Rider Dressage Camp. He also attended the North Island Secondary School Dressage Championships with placings over three years, and in 2015 the Pukekohe High School team he was part of won the Overall Open competition. Eventing: Noah loves cross country, he has competed at ESNZ events with placings at CNC 105 including 2nd at Puhinui Horse Trials and 6th place at Kihikihi Horse Trials. He has also competed at CNC* (1.10m cross country) placing 5th, he is one of only a handful of ponies competing at this level. He has been lucky enough to attend an ESNZ eventing clinic with Jock Paget. Arabian Shows: Noah has attended the Auckland Arabian Spectacular on two occasions, his major successes were in winning the in-hand classic action in 2013, and winning the liberty class and the ridden classic action in 2015. A&P Shows: Round-the-ring jumping is another area of success for Noah, he has gained many wins and placings his best results are from the Franklin A&P show where he was placed 1st many times including the Champion Hunter and winning the Gold Cup. The following day he received ribbons in the Arabian in-hand and ridden classes. He has competed in a few A&P shows in the Arabian Section winning many ribbons and has never been un-placed in the classic action classes. Showjumping: A change in direction in 2015 has seen Noah compete mainly in showjumping. He has had placings at ESNZ Graded events including 2nd (class of 19) and 3rd at 1.20m; Taupo Christmas Classic 5th (class of 40) in the Pony Accumulator 1.25m; Auckland Manukau Showjumping Pony Grand Prix 1.20-1.30m placed 5th (double clear, approximately 20 in the class). Noah is now jumping Premier Pony Grand Prix 1.25-1.35m. He has competed in many school showjumping events for Pukekohe High School, highlights include being a member of the winning team for the Equestrian Cup in 2014 (over 50 teams in the competition), placings at the North Island Secondary Schools Showjumping Competition in 2015 (2nd and 6th in classes of 56) and a 3rd in the Jigsaw helping the School Team finish 3rd overall. Derby: Equidays has provided Noah with a great competition – the Pony Derby. This class has been run for the last three years, with 40 plus ponies in this competition. Noah has placed 9th in 2013, 4th in 2014 and 5th in 2015. He has been the only pony to place every year.